Speech and Debate are the original pillars of the school. 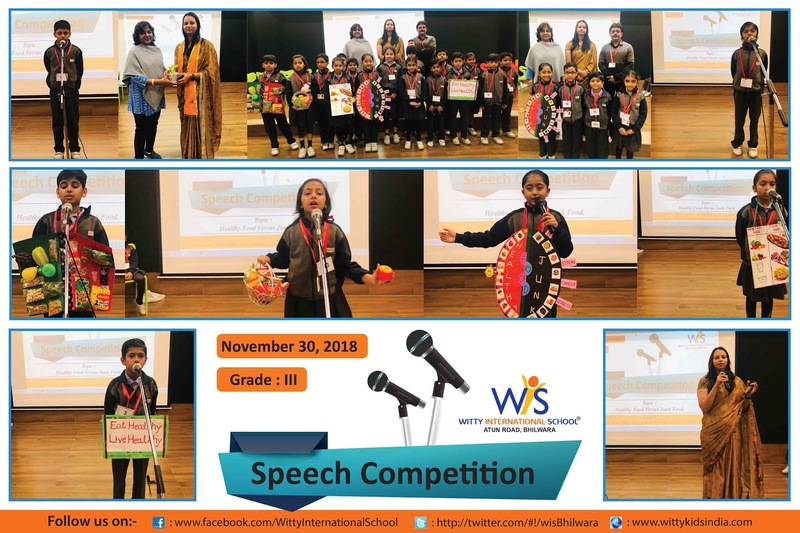 The school believes strongly in the importance of preparing students to be confident speakers, empowering them with 21st Century skills, which will serve them in the future as well-balanced students leading lives of purpose. Hence,Witty International School,Atun Road,Bhilwara organized a Speech competition for Grade III on November 30,2018 and Debate competitions for Grade VI to VIII on November 27 and 29. Students of Grade III actively participated and spoke on the topic ‘Healthy food versus junk food’. 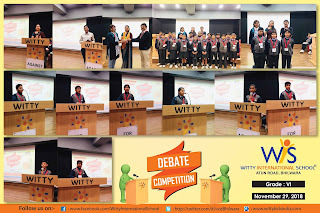 The debate and speech competitions were conducted in two rounds, pre round and final round. Students were given maximum of two minutes and 30 seconds to speak on the topic ‘Money can buy happiness’ and ‘Technology makes us lonely’. It was a very informative competition as the students gave a lot of factual information and used the examples from the latest happenings around the world. 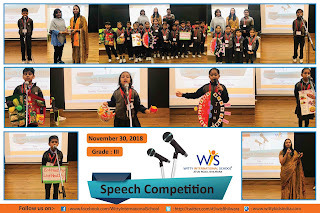 The competitions were very interesting and all the contestants tried their best to prove their points. 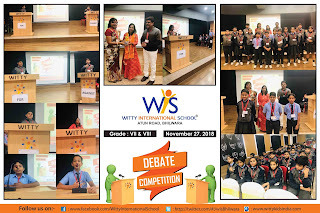 It was a delightful experience to see the competitive spirit among all the contestants. There was a very close competition among the participants.